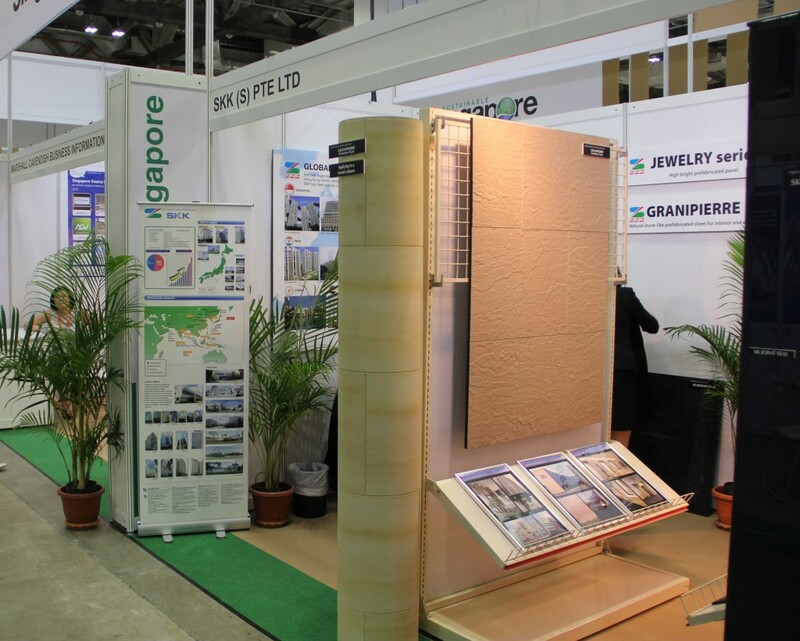 SKK (S) Pte Ltd recently participated in the BEX Asia 2014 Exhibition at Marina Bay Sands Convention Centre from 1st to 3rd September 2014. We were showcasing our latest products such as the SKK Thermal Cooling Panel and SKK Thermal Cooling Sheets. These panels and sheets incorporate a new thin thermal energy storage material which acts as a cooling system to reduce the power consumption of air conditioners, proving to have energy savings of at least 30%. Not only do they absorb the cool air from the air conditioner and emit the stored cool air for long hours, there is excellent thermal storage which in turn lead to low electricity cost. Finally, it is maintenance free with easy installation. The panels are recommended to be used in offices as they can act as cubicle barriers. The sheets are recommended for offices, schools, shopping malls, condominiums and houses where long hours of air conditioning is required. The SKK Thermal Cooling series is perfect for Singapore weather.